Currently, the Android application for enviroCar can record tracks only when it is connected to the OBD-II adapter through Bluetooth. What if the user does not have a working OBD-II adapter? What if Bluetooth is not working in user’s mobile phone? 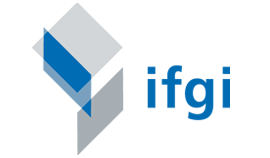 In both the cases, the enviroCar app will be of no use to the user. This limits the usage of the app to a great extent. In my Google Summer of Code 2018 project, I want to add plain GPS based recording of a track in the enviroCar Android application. 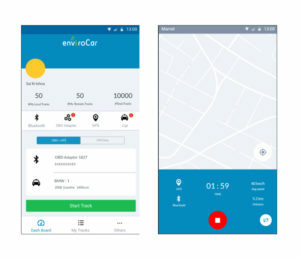 This will increase the usability of the enviroCar app and simultaneously increase the collection of data in the enviroCar server, which can be used to analyze traffic. We already have a feature which automatically starts recording the OBD based track. Since I want to implement GPS based track, I should also look for automation of tasks in GPS based tracks. For this, I will try to make use of activity recognition features in the app. This feature detects the user’s activity and automatically starts the GPS based track when the user starts driving. I am currently thinking of using the Activity Recognition Transition API, which detects when the user has changed his/her activity. But I will use any particular library only after testing the reliability of the library in our particular use case. I will also improve the UI/UX of the app by redesigning the app. Since the navigation drawer has many disadvantages (as mentioned here), I will remove the navigation drawer and introduce the bottom bar to switch between different activities. Dashboard activity is currently dull. It contains a map view that is of no use. I will remove it and display the user’s statistics in the dashboard as shown below. I will display statistics, such as current speed, time, distance travelled in the notification when track recording is started. All the designed views can be accessed here. Apart from the technical things mentioned above, I will also improve the store listing of the app in Google play so that a large audience will be attracted to using the application. I first want to make the images to be displayed in Google Play store more attractive, like this. Then the name of the application, short description, and long description will be changed in order to improve the ASO (App Store Optimization).